Moonee Valley is a mostly residential area covering 43 square kilometres in the north-western suburbs of Melbourne. It is home to around 118,000 residents and a variety of landscapes including estuarine river, fresh water creeks, ephemeral creeks, grasslands, woodlands and escarpments. Moonee Valley has approximately 220 open space reserves covering 528 hectares equating to 12.5 per cent of the municipality. 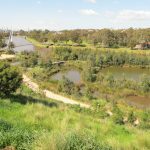 This open space network is diverse, ranging from linear waterway reserves along the Maribyrnong River and Steele Creek, to sporting reserves, formal gardens such as Queens Park and small neighbourhood parks. Within these open spaces, is in excess of 40,000 native and exotic trees. Some parks have also been enhanced with ground and shrub layer plantings for aesthetic and habitat values. There is a street tree population of 46,000 composed of a variety of species both exotic and Australian native. 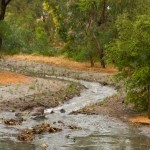 The recent construction of wetlands for stormwater quality improvement and water harvesting has introduced an entirely new landscape type with its own unique species. 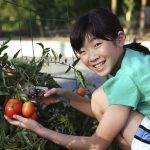 Residential and community gardens are thriving and Council’s My Smart Garden initiative is inspiring more than 1200 members. The strategy will guide them to creating an ecologically diverse city with a human population that is connected to nature. Moonee Valley City Council is pleased to support Greening the West and shares its commitment to finding new and improved ways to support more flora and fauna in its buildings, streets and landscapes. Council recognises the environmental, economic and social benefits of creating an urban forest across the whole municipality, and strongly supports the link between nature and health.